AUSTIN - Three leases amounting to over 34,000 sf have been executed at Great Hills Plaza office building located at 9600 Great Hills Trail. The 22,637-sf renewal and expansion lease deal represents the largest of the leases and was signed by current tenant E2Open, LLC. The other two deals were signed by new tenants Guaranty Insurance Services and One Affiniti LLC, which leased 8,140 and 3,729 sf, respectively. 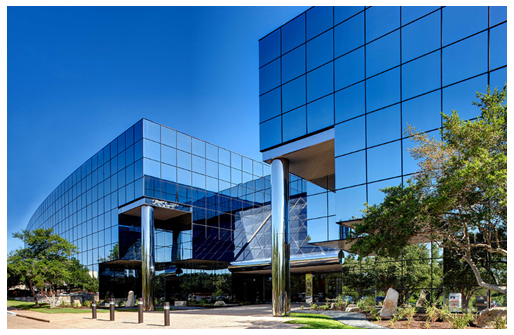 Great Hills Plaza is a 139,252-sf, Class A office property that delivered in 1984 off Route 183 in Austin’s Northwest submarket. ​Se​e office data reports for Austin-Round Rock area here.